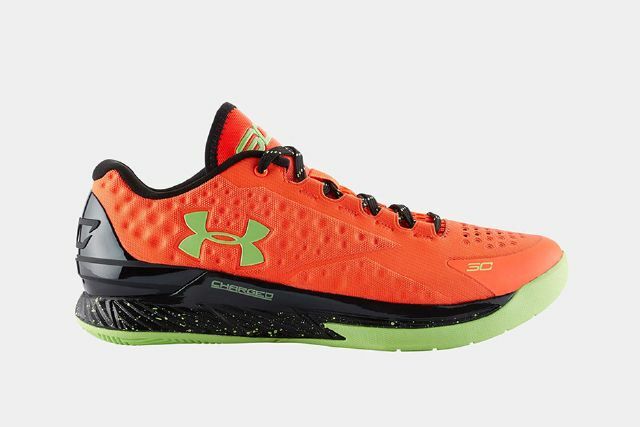 Retailer links for one of the brighter colorways of the Under Armour Curry One Low are available now. This particular colorway doesn’t really have a nickname or inspiration although they will definition fit a Halloween story or maybe even a Tang theme. 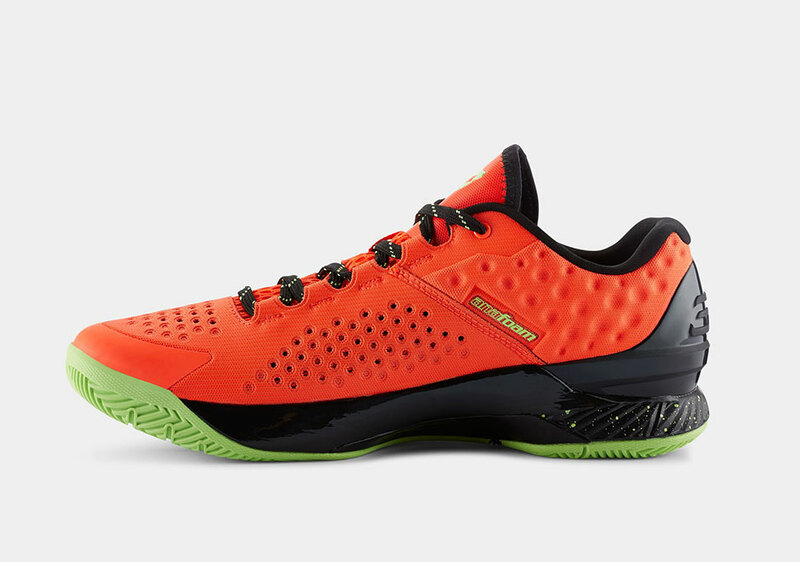 The upper comes in the loud Bolt Orange, while black encompasses the midsole, collar lining, and covers the laces as well. 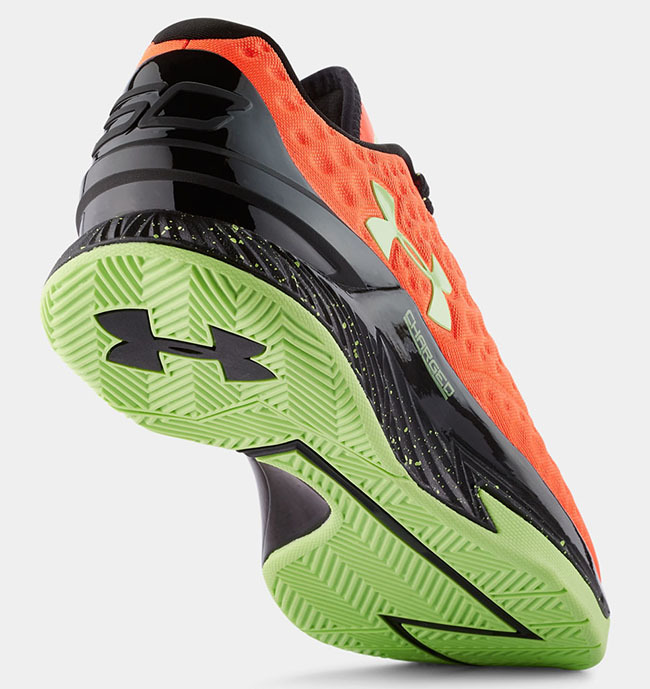 Avex Green hints appear on the SC and UA branding, as well as the outsole and speckling on the midsole.